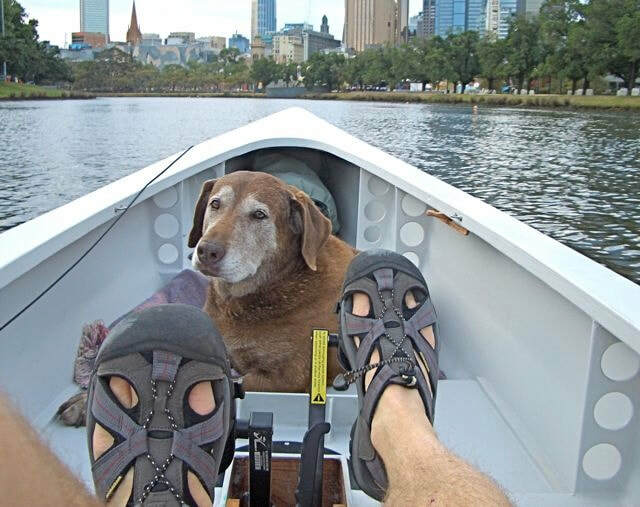 Ripple was the first boat I built to maximize the power of Hobie’s Mirage Drives. I constructed Chris Ostlind’s “Strider” hull with my interior layout. 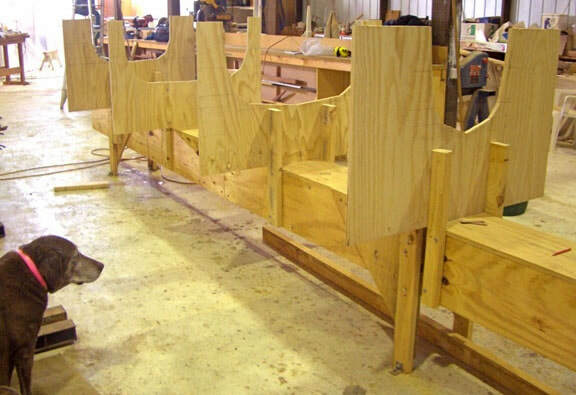 Molds ready for plywood strakes. 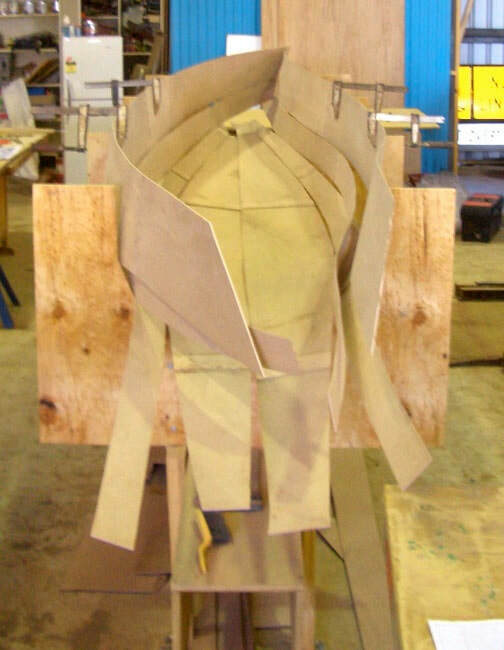 Plywood strakes cut from plan ready to "stitch and glue". Topsides were cut down later for aesthetics. Don't buy cheap plywood. 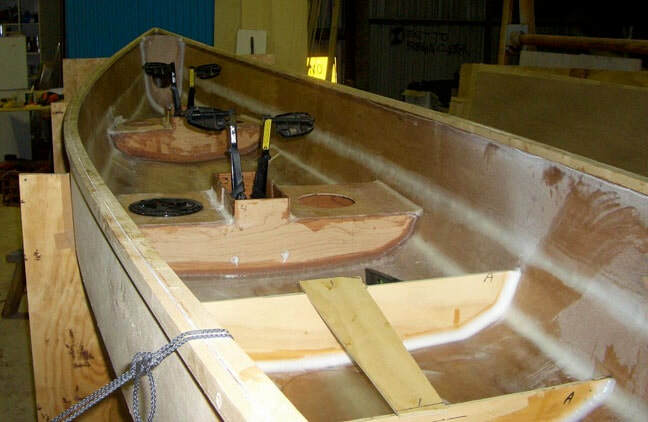 Hull will be glassed with 4oz cloth inside and out. Marking and cutting holes for drive units. Metal bar is to align drives. Luckily I measured twice. 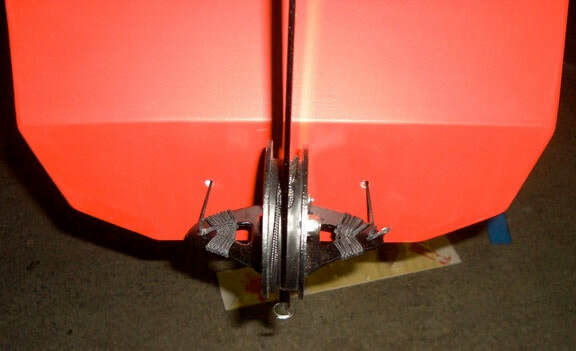 The jig to hold the drives level and with proper clearance while fitting inside box, see below. 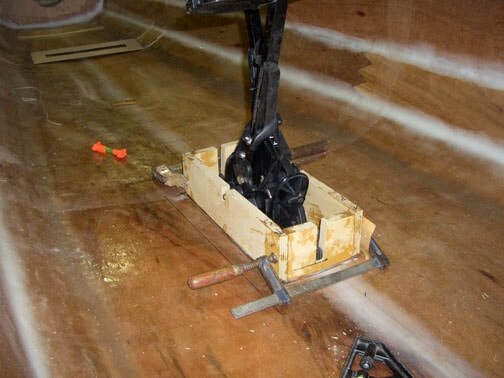 Inside drive box structure is epoxied to the hull. I used epoxy for everything. Aft drive well templates and fwd seat platform. Outside well boxes/bulkheads. Drive wells were cut shorter. 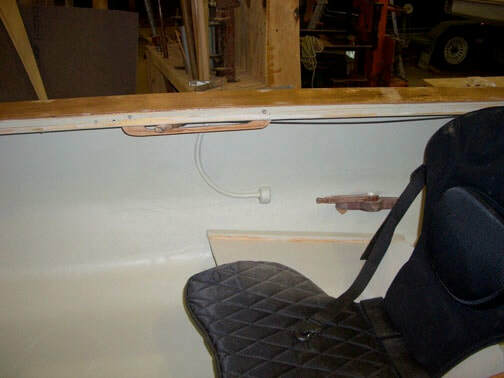 There is no splash inside the wells when underway except when hitting a wake. Note rub-rail and inside shear clamp installed for traditional deck to be glued. 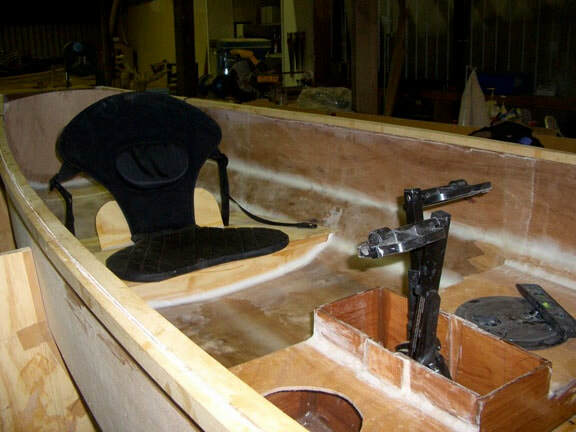 Aft seat bulkheads glued and radiused. Aft seat. 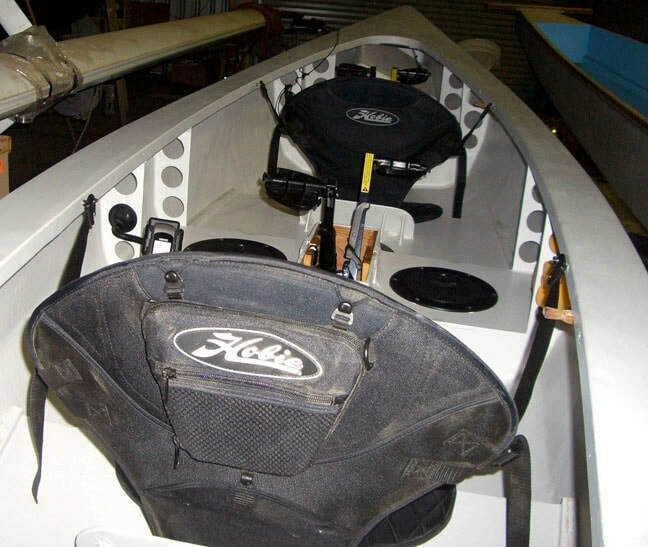 Seats are Hobie Mirage Kayak units. Here's the carlins glued in place. I didn't follow the plans for the deck. 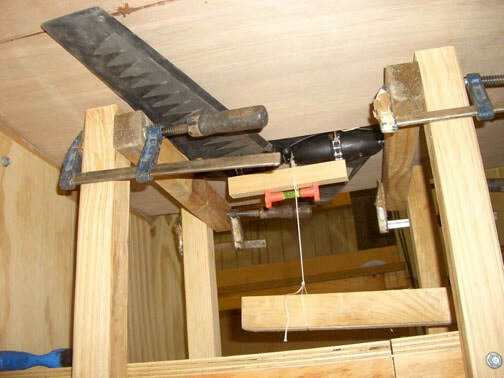 I wanted a shear that would allow car topping without racks. 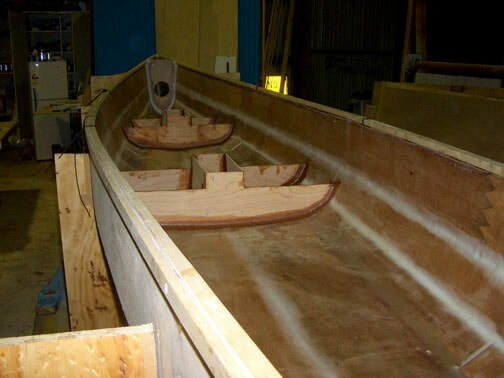 To cut the shear I put a nail in the bow about an inch down and a nail at the stern about 2 inches down. Then held a thin baton in between the two nails, securing them with spring clamps. I adjusted the baton by eye, traced it with a pencil and grabbed the battery circular saw. Deck is 4mm ply and not glassed. The boat has about 3" less freeboard than drawn. I used a sea kayak rudder. Steering is by small tillers under the deck. They move in a fore and aft motion. 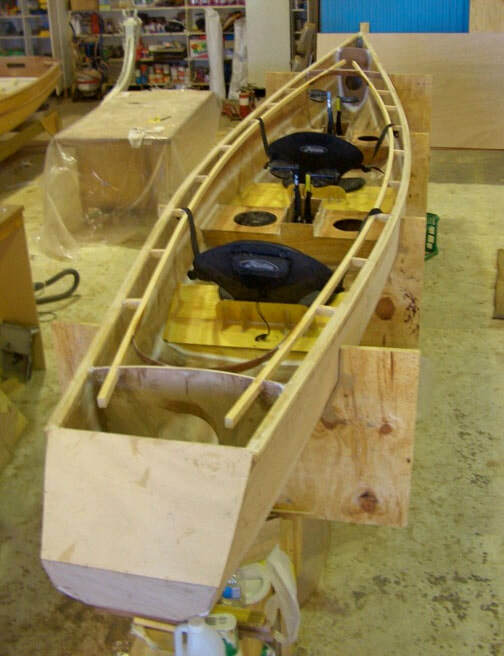 The lever on the side of the hull will raise and lower the rudder. Vertical deck braces are 4mm ply. I don't know how much strength they add but they look cool. 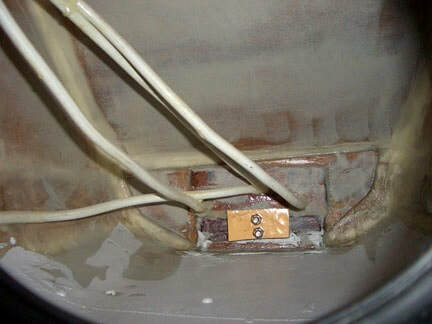 Inside view of control lines running through PVC conduits to the transom. There's probably better ways to do this. 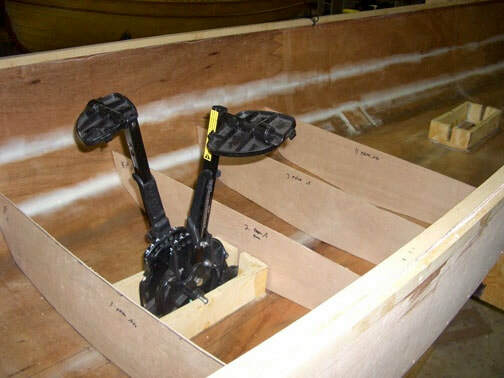 The two large bolts are rudder bracket mounts. Outside view of rudder control lines. 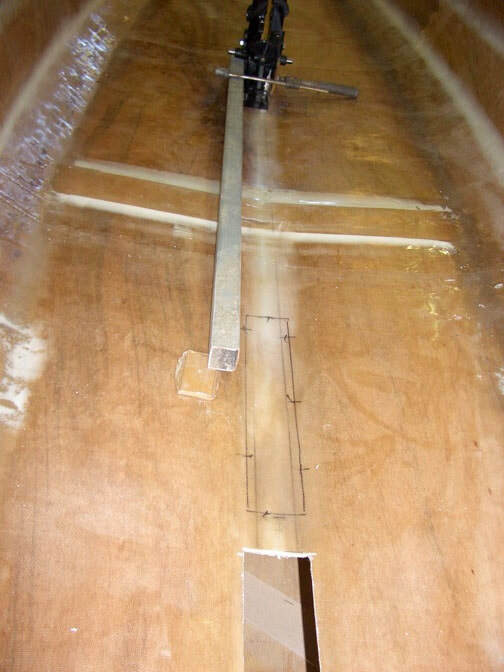 Retracting lines are hidden from view by rudder. Approx. cost of accessories in US$. Here's a large dog in the front. I found the heavier person needs to be in the bow.